So arriving at a new school and realising that it is a GAFE school, I was so excited to start using this in my teaching. After watching videos from @mrrobbo and @nathanhorne on how they use google apps I was excited to get started. The school would use the Presidential youth fitness program as a baseline for the students. Had to do a little research, being British, never heard of it!!! When I asked how they did it, and how the data was recorded, they said we as a department enter all the data. Now the school has around 400 students, and I thought I don’t fancy entering 400 students pieces of work if I can work smarter. 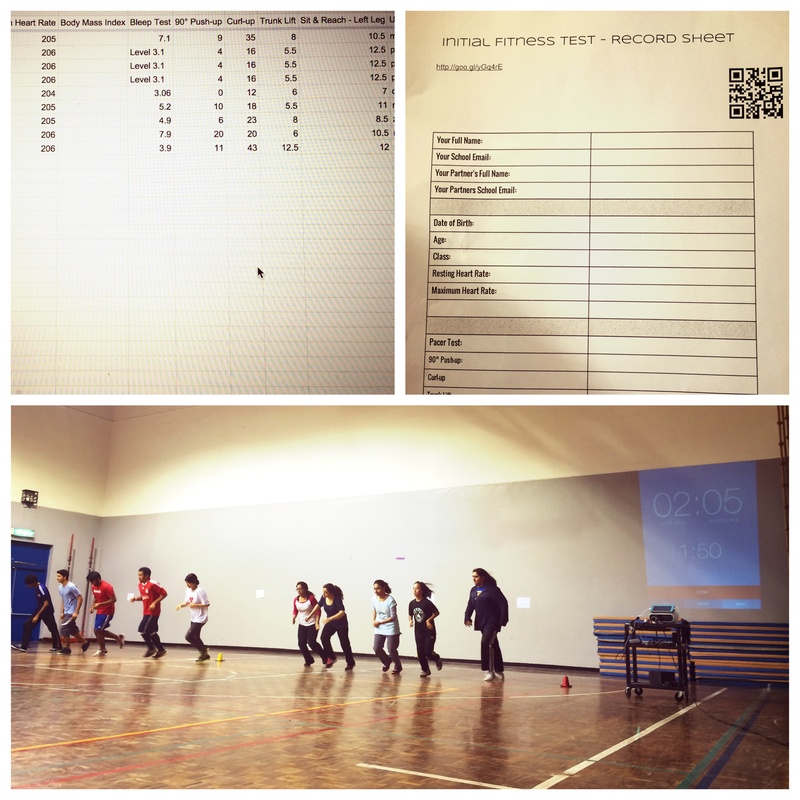 Once the students had finished all the tests they could either scan the QR code or type in the url to input the ‘clients’ data. This could be done in the last 5 minutes of the lesson or at home, it was upto the students, but the majority decided to complete in the lesson as it did not take long. 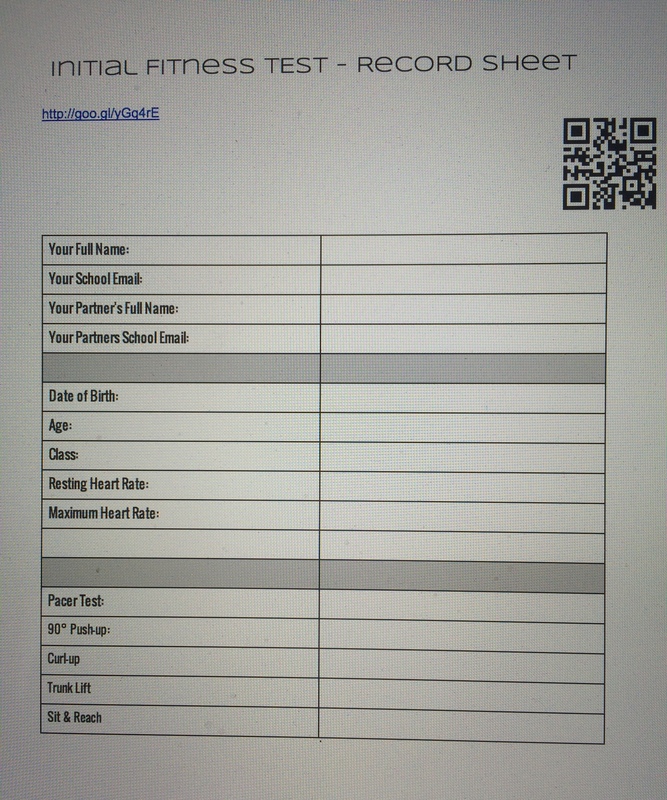 This then gave me all the data the Presidential Fitness Test required and I could copy and paste it into the spreadsheet along with some information the school nurse would give me. 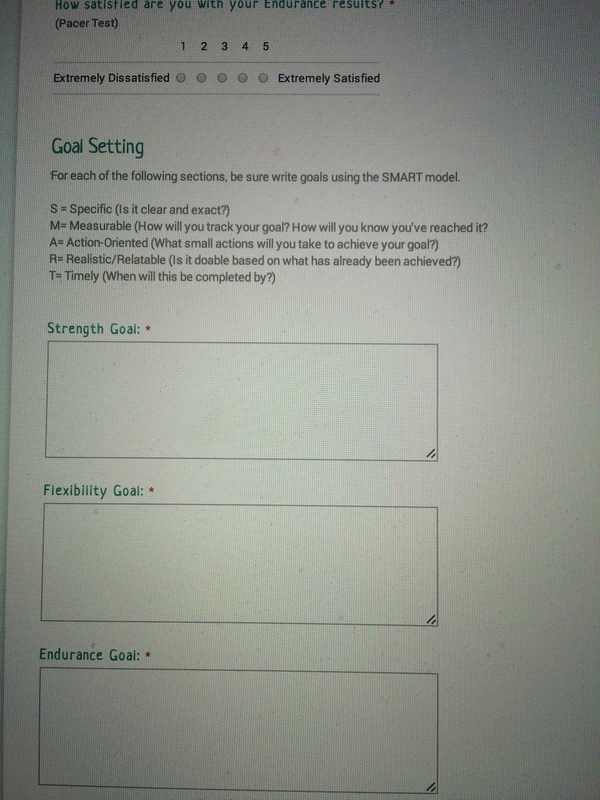 I wanted to give each student a basic report and also a form of goal setting. So what I did was watch a few videos about using GAFE but also how to use Autocrat. I mixed the knowledge from mainly these two videos from Jarrod Robinson (http://goo.gl/dyqKMd) and Nathan Horne (http://goo.gl/8eJpCE) and got to work, (if you do not follow these two on twitter, you should!!). Using Jarrod’s template I wanted to replicate, to make sure it would work, now I know how it works I can experiment more in the future. After the template was done, I followed the directions in both videos on how to use autocrat. 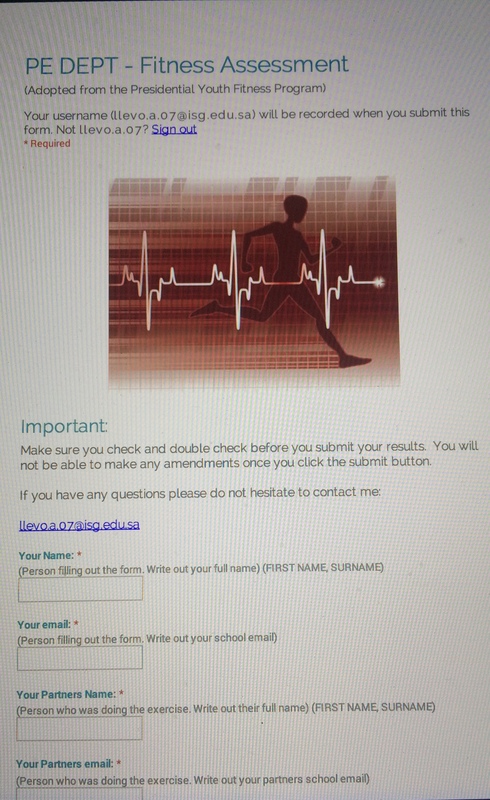 Once I had played around with some test data, I knew I could use it with the data I had collected from the students. It took me all of about 10 mins to send out over 300 reports, and it also kept a copy in my G drive for the dept use. Perfect!! The goal setting form would allow me to see how the students are feeling about their results, but also with the 1-5 rating, I could graph these results for each grade and display in class. Enjoying experimenting with Tech and PE. Next experiment is to introduce Solo Taxonomy into lessons, but deserve my October break first. This is awesome, well done. I will definately pass this onto my department and can’t wait to play with it next year. I just did this with my elementary students (3rd – 5th) – they love “surveys” and BOOM! I can print out their personal reports with their reflections and have them invested in their fitness tracking via technology. Awesome! Did you follow what i had done or did you come up with your own process ?? Yes. I did what you did, and watched videos from @mrrobbo (need to give him a big shout out too) but tailored to elementary. I am wondering, when we do this again in the Spring, if there is a way to report both scores to compare and reflect – I am sure there is a way. I am working on sharing this with my PLN – so your layout helped me as well.